The Rag Room at Springfield Mill is the last surviving original building of Springfield Mill. (Springfield Mill was the world’s first paper mill to successfully be powered by steam). Springfield Mill in Maidstone, Kent was built in 1805, founded by William Balston (1759-1849) and crucially, the first paper mill to be successfully powered solely by steam. Balston had been apprenticed in 1774 to James Whatman II (1741-1798), owner of Turkey Mill and one of the most successful paper makers of the 18th century. His father, James Whatman invented Whatman paper, which is a type of wove paper. It is notable for its exceptional quality. Rags were originally the raw material for paper making. Paper making developed as a major industry in the Maidstone area from the late 1600s due to the suitability of the River Len for water-power and its proximity to London, the major market for paper and source of rags, its raw material. There were seven functioning paper mills between 1671 and 1700 and by 1733 there were 14 mills. By 1865 this number had increased to around 40. 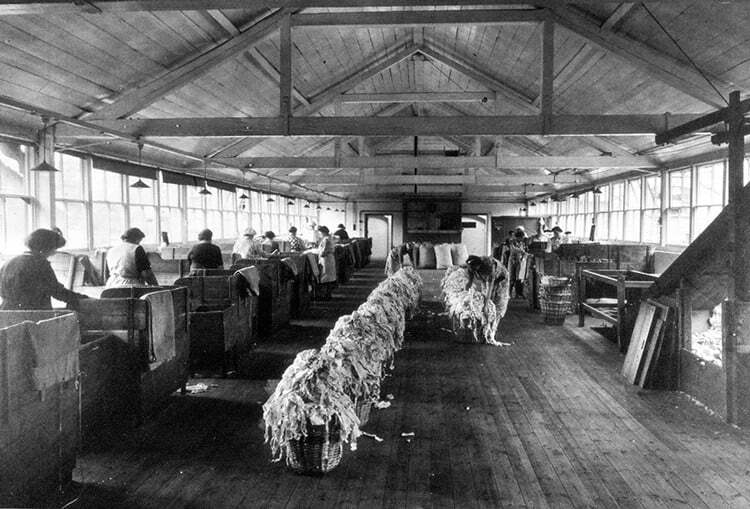 The Rag Room was where the rags, which were the raw material for paper until 1860 when Esparto grass was introduced, were sorted and cut into small pieces for the next part of the paper making process. The Rag Room of Springfield Mill has continuous glazing on the upper floor, maximising daylight enabling the workers to efficiently sort the rags. Springfield Mill had a 36 horse-power Boulton & Watt beam engine powering a Hollander (the machine which broke down the rags into a pulp). It is is believed to be one of the first 6 engines made in this country. It was installed in 1805 by Sir James Watt and John Rennie and operated for about 80 years. Running for 440 ft, parallel with the River Medway, Springfield Mill consisted of a Drying Room at the north and Rag Room at the south with rooms for the various processes, and the engine and its boilers, set between them. The mill remained in the ownership of the Balston family until 1974. Follow this link for a series of interesting old black and white images of Springfield Mill – HERE!